Sir John Crawford, in whose honour the Fund was established, was a remarkable Australian who contributed at the highest levels to the development of Australia and other countries, and was a passionate supporter of international agricultural research for development. 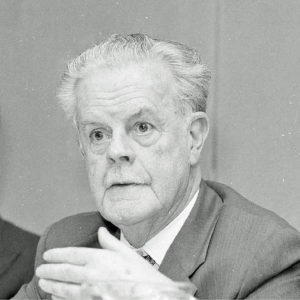 Sir John was also the first chairman of the International Food Policy Research Institute (IFPRI) Board of Trustees, from 1975 to 1981. Since 2015 marks the 40th anniversary of the IFPRI, it is timely to reflect upon Sir John’s passion for international agricultural research, and his contributions to the IFPRI.